Wise Femy ( A Division of A.B.P.L.) is an ISO and GMP certified company engaged in marketing of of Gynae Products. Zentis Drugs was established in the year 2009 as an ISO 9001:2008 Certified company. Our Organization is engaged in supplying and exporting a comprehensive range of pharmaceutical products. DUKEN Pharmaceuticals is an lso-9001 : 2008, WHO GMP certified company established in the year of 2011 at Chandigarh. Are you looking for PCD Pharma Companies then DUKEN is right choice. 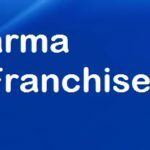 Established in 2011 Grapple Life Sciences Private Limited is Pharma Franchise and Pharma PCD Company has designated itself as one of the most prominent suppliers, wholesalers, traders and service providers of optimum quality. Established in the year 2014 in Chandigarh (India) we “Segos Biocare” are renowned trader and supplier of a qualitative array of Pharmaceutical.